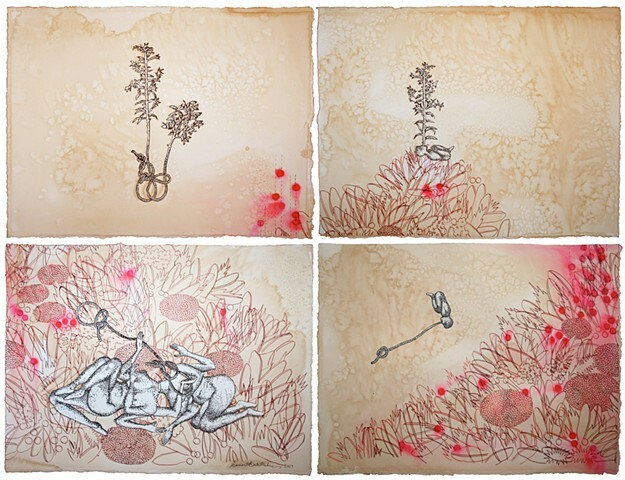 'The language that I know", references the interconnectedness of the body with the rhythms of the natural world and examines the cycles of birth, sustenance, dissolution and regeneration. My imagery often has elements of the human form intertwined with that of nature. Nature/landscape is seen and a metaphor for the body (and vice-versa) and as a site for germination, nourishment, degradation, trespass, plunder, colonization and transgression.